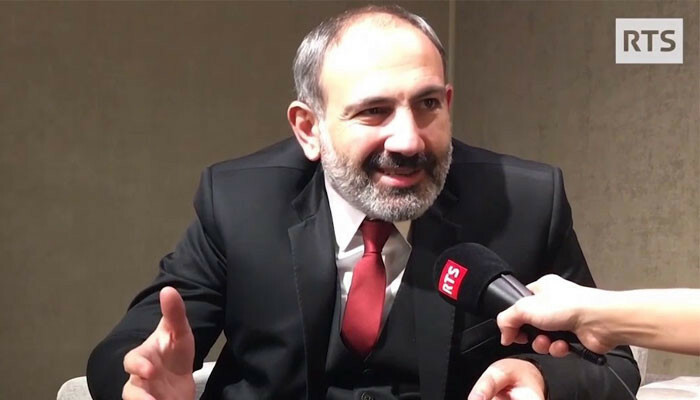 RA Prime Minister Nikol Pashinyan in an interview with Swiss RTS said what he will do after leaving politics. According to Nikol Pahinyan, his position didn't have any impact on his attitude towards people and on his opinion. "I am the same person with the same mission. I consider myself to be my people's servant. I will continue to carry out my mission until my people is pleased with me. When they decide to fire me, I will probably return to my previous job, journalism or will write books", said Prime Mister. He mentioned the importance of economic revolution which will end the corruption. Nikol Pashinyan also reffered to the relationships between Armenia, Russia and EU calling them important for the country.